After graduating from Le Cordon Bleu, London and with a background working in the professional pastry kitchens of some of London’s top 5 star hotels and restaurants, I launched Panache Cake Design to explore my love of cake making. My cakes are eclectic in design and I adore romantic, floral styles just as much as bold, contemporary graphics. Whilst much of my inspiration comes from modern trends, I believe well executed designs are timeless and leave the most lasting impressions. Exquisite taste, texture and flavour combinations are important to me and every cake is made using the finest ingredients. The cakes are hand baked and finished by myself and everything is made in true artisan fashion. I have had some occasions where couples have said that they loved their cake so much and didn’t want to cut it; this is the ultimate compliment, however, nothing pleases me more than creating something that can be heartily enjoyed and indulged in. 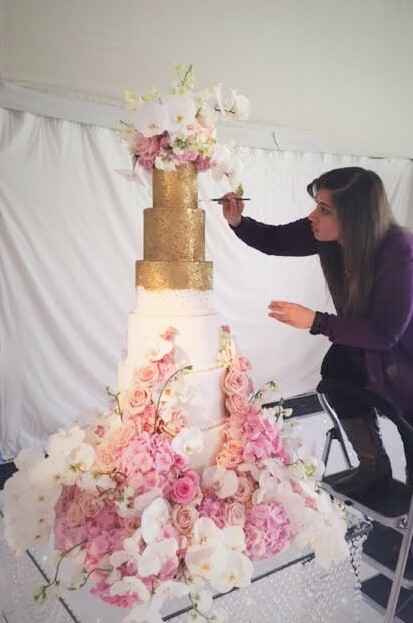 From the initial concept of your wedding cake to its creation, my ethos is to work closely with each couple offering a professional and down to earth customer service, which gives you peace of mind enabling you to focus on other elements of your special day.